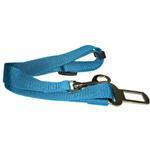 FurHaven’s Pet Seat Belt Clip is the simple solution for a safe car ride. Tired of your pet jumping around the car while you’re trying to drive? 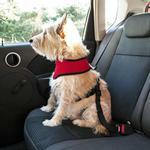 Looking for a safe, comfortable way to protect and secure your loved one on trips? FurHaven’s seat belt clip is the simple solution for a safe car ride. 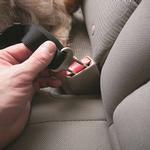 The seat belt clip securely attaches to your car’s existing seat belt latch while giving your pet up to 20” of slack so that they won’t be too restrained. The leash has an easy clip that attaches to both collars and harnesses while the sturdy webbing construction will keep your pet safe for lots of car trip! Perfect to keep my Babies Safe. Posted On 11/19/17 by Samantha H from Dallas, PA Yes, Samantha H recommends this product! Well constructed perfect for our next road adventure.